Is Eric Wood Fieldhouse Worthy? Jim Kelly and Marv Levy retirement ceremonies. Ralph Wilson’s memorial ceremony. Terry & Kim Pegula’s purchase of the Bills. They were all notable moments in Bills history, and they were all held at a makeshift podium inside the Bills Ad Pro Fieldhouse. There is a reason they were held there, and it relates to the significance of the event. So as I watched (and waited) for Eric Wood’s retirement announcement this week, I wondered. Is Eric worthy of a Fieldhouse ceremony? Now let me make this clear. Eric Wood is a fine man, and an outstanding player. I have covered him personally, and found him to be one of the most accommodating and honest players in recent Bills memory. 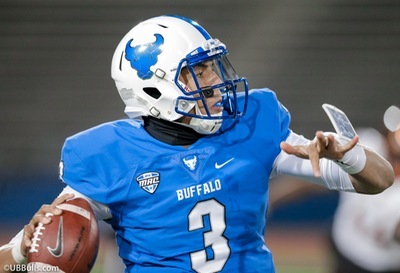 His contributions to the WNY community are admirable. Bills fans have a place in their hearts for him, and that’s great. But to me, he was a fine player who made one career Pro Bowl, and was part of one career playoff game. He is not even the best center in team history, and maybe not even in the top three. I understand that the holding of the ceremony in the Fieldhouse may have been driven by the fact that Wood had numerous family, former teammates and charity-related guests attending. There really is no other place at the facility for that kind of gathering. But be mindful that the Bills are always aware of perception and symbolism. I’m sure this was discussed and debated internally. I always remember that specific interviews were held in specific places, so as not send the wrong message. For instance, free agent visitors were never allowed to stand in front of the Bills media room logo backdrop because they weren’t yet part of the team. Why they were willing to go with the symbolism of the Fieldhouse, I don’t know for sure. Wood is a pillar of the team, a leader and fan favorite. That may be why. But shouldn’t we have standards for these kind of events? Shouldn’t it be reserved for only the greatest, most memorable players and events in team history? If Wood gets a Fieldhouse ceremony, should Kyle Williams? How about Fred Jackson? What about LeSean McCoy? Ryan Fitzpatrick is a beloved, admired former player. Does he get one? It sticks with me that Kent Hull, a center who was much more influential and successful than Wood didn’t get the Fieldhouse treatment. The understated Hull probably would have turned it down if offered. Maybe I’m reading too much into this. Maybe my memories of when this team had too many great players to honor is sticking with me. I know we live in the here-and-now, and a generation of Bills fans don’t remember those days. But it’s the job of the organization to understand it’s history, and what it means to all fans, not just the recent ones. With that in mind, they should have told Eric Wood that they would find another place for his ceremony. 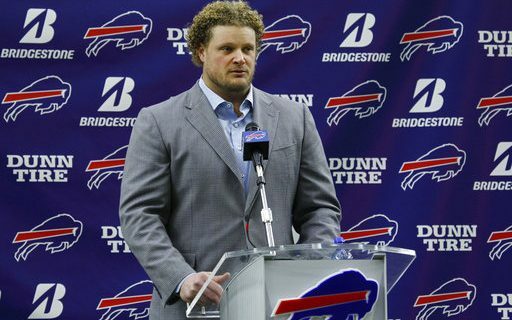 To me, Eric Wood’s ceremony was not Fieldhouse worthy.